Join us on January 7 at 9p ET/6p PT for our next #WhyWeRevolt tweetchat. Our first book club tweetchat went so well, we're continuing it to talk about the themes of the book. Catch up on the first few by reading our summaries. 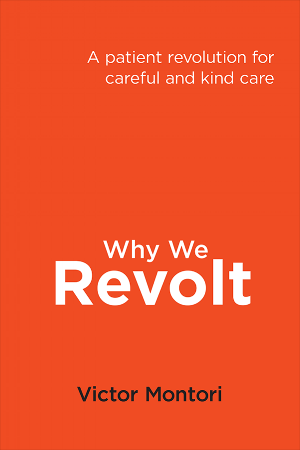 Tune into the @patientrev Twitter account for questions on September 10th and follow the discussion via the hashtag #whywerevolt. This is our way to take action as individuals and to come together, sharing our stories and rebuilding healthcare in pursuit of a system that is careful and driven by kindness. Continue to watch this space for details on how you can host a book club discussion of your own in your community. !